In the NIST additive manufacturing benchmark (AM-Bench) experiments, melt pool geometry, cooling rates, surface topography, and dendritic microstructure in laser melted Inconel 625 were used to challenge and validate computational models of the melting and solidification process. To this end, three thermal models incorporating different physics are compared with the experimental data. It is identified that the heat convection enhanced by the thermocapillary flow inside the melt pool and heat loss caused by vaporization play pivotal roles to guarantee the accuracy of the predictions, and thus should be considered in the thermal model. Neglecting fluid flow and vaporization leads to nearly 100% difference in cooling rate during solidification, and 20% difference in cooling rate after solidification from the results. With the most accurate thermal model, surface topographies of the melt tracks are predicted and quantitatively analyzed. Using the Kurz-Fisher model, the primary dendrite arm spacing is predicted based on the thermal gradient and solidification rate predictions, while elemental segregation is predicted using the Scheil-Gulliver model and a non-equilibrium solidification model. Additionally, it is shown that increasing scan speed inhibits elemental microsegregation. Zhengtao Gan and Yanping Lian contributed equally to this work. G. J. Wagner and W. K. Liu acknowledge the support by the National Science Foundation (NSF) Cyber-Physical Systems (CPS) under grant No. CPS/CMMI-1646592. 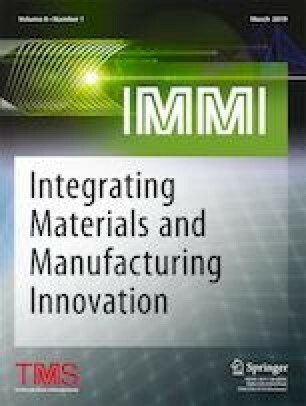 G. J. Wagner and W. K. Liu acknowledge the support by the Digital Manufacturing and Design Innovation Institute (DMDII) through award number 15-07. W. K. Liu and Z. Gan acknowledge the support by Center for Hierarchical Materials Design (CHiMaD) under grant No. 70NANB14H012. W. K. Liu acknowledges the support of NSF grant CMMI-1762035. Y. Lian acknowledges the support by BIT Teli Young Fellow Recruitment Program. S. Lin acknowledges the support by the NSF Graduate Research Fellowship under Grant No. DGE-1324585. K. Jones acknowledge the support by the Murphy Fellowship from Northwestern University. We extend our thanks to Dr. Lyle Levine, Dr. Brandon Lane, and the AM-Bench committee for their work and leadership in providing this valuable forum for the AM research community.